HERE AT DRAINAGE EXPERTS WE GET ASKED A LOT OF QUESTIONS REGARDING SEPTIC TANKS & SOAKAWAYS,SO HERE WE WILL LOOK AT SOME OF THESE QUESTIONS. (1) DO I NEED A SEPTIC TANK: IF YOU CANT CONNECT TO THE MAINS YES YOU WILL. (2) WHAT TYPE OF SYSTEM DO I NEED. WELL DEPENDING ON VARIOUS FACTORS IT WILL BE A SEPTIC TANK & SOAKAWAY,OR CESSPIT SYSTEM OR A SEWERAGE TREATMENT UNIT. GENERALLY FOR A SINGLE HOUSE A SEPTIC TANK & SOAKAWAY IS FINE. (4) WHAT SIZE SEPTIC TANK DO I NEED : RULE OF THUMB IS 2700/2800L FOR 4 PEOPLE,3700/3800L FOR 9 PEOPLE OR 180L PER ADDITIONAL USER. (5) WHERE DO I SITE THE SEPTIC TANK : HERE AGAIN BUILDING REGS INSIST ON MINIMUM OF 7M FROM THE PROPERTY. (6) IS THERE ANY MAINTENANCE WITH SEPTIC TANKS : YES THEY SHOULD BE CLEANED OUT AT LEAST ONCE A YEAR. ( 7) WHAT ARE THE DRAIN LEVELS : AT LEAST A 1-40 FLOW FROM DRAIN TO SEPTIC TANK AND 1-150/200 FLOW FROM THE SEPTIC TANK TO SOAKAWAY. (8) DO YOU INSTALL SEPTIC TANKS :YES WE DO OUR DRAIN ENGINEERS ARE SOME OF THE BEST AND WE ARE VERY COST EFFECTIVE WITH GENUINE ADVICE AS WE DONT SELL ANY PERTICULAR PRODUCT OF SEPTIC TANK SO THEREFORE WE WILL GET YOU THE BEST DEAL ON YOURS. NOTE THE DRAINAGE PIPE FROM PROPERTY TO SEPTIC TANK AND THEN SINGLE PIPE OUT TO SOAKAWAY AND INTO SERVERAL PIPES THAT HAVE LITTLE HOLES TO DISPERSE THE WATER OVER A DESIGNATED AREA. 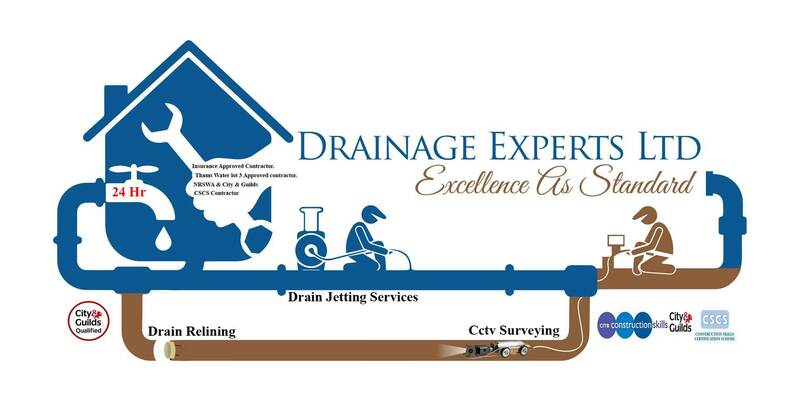 DRAINAGE EXPERTS SERVING THE LONDON,KENT AND SURROUNDING AREAS.